Get your car spring ready and treat yourself to some well-deserved Mercedes-Benz accessories in the meantime! Present this coupon and receive a $50 credit to our Mercedes-Benz boutique, when you spend $500+ in our Service Department! *Coupon not valid with any other offer. Limit one coupon per person. Must present coupon at time of write-up to Service Advisor. Coupon cannot be presented after service bill has been created. Coupon does not apply to prior purchases. Other Restrictions may apply. Void where prohibited. Present this coupon and receive 10% off a transmission fluid flush. *Coupon not valid with any other offer. Must present coupon at time of purchase. Limit one coupon per person. Degreaser fee may be applied to all customer-pay repair orders. Coupon does not apply to prior purchases. Coupon applied to parts and labor costs. Other Restrictions may apply. Void where prohibited. We all know that potholes can be a nightmare here on Long Island. Potholes and bumps can make the alignment of your wheels messed up and cause road noise, vibrations, or drifting. Take care of your vehicle today with the Pothole Special only at Mercedes-Benz of Huntington! SPECIAL INCLUDES: Tire rotation, balancing of front wheels, visual inspection of wheels, and 4-wheel alignment. *Coupon not valid with any other offer. Must present coupon at time of purchase. Limit one coupon per person. A wheel weight fee of $5.00 will be applied to all customer-pay repair orders. Coupon does not apply to prior purchases. Coupon applied to parts and labor costs. Other Restrictions may apply. Void where prohibited. Keep Your Car Spring Clean! Spring is right around the corner, so now is a great time to get your Mercedes-Benz shiny and clean for the new season. Present this coupon and receive a FREE Mini-Detail when you spend $500+ in service! *Coupon not valid with any other offer. Must present coupon at time of purchase. Limit one coupon per person. A degreaser fee of $3.50 may be applied to all customer-pay repair orders. A $5.00 wheel weights fee may also apply. Coupon does not apply to prior purchases. Other Restrictions may apply. Void where prohibited. We understand your time is precious. That’s why we offer Express Service – routine maintenance performed on your vehicle in an hour or less… no appointment necessary! Experience our fabulous Express Service & enjoy more time in the rest of your day! *Coupon not valid with any other offer. $500 maximum savings. Must present coupon at time of purchase. Limit one coupon per person. A degreaser fee of $3.50 will be applied to all customer-pay repair orders. A wheel weight fee of $5.00 may also apply. Coupon does not apply to prior purchases. Coupon applies to parts and labor costs. Other Restrictions may apply. Void where prohibited. My Star Treatment. My Service. Join and see for yourself what first class service is all about. We appreciate our new customers…just as much as our longtime ones! *Coupon not valid with any other offer. Must present coupon at time of purchase. Limit one coupon per person. A degreaser fee of $3.50 may be applied to all customer-pay repair orders. A $5.00 wheel weight fee may also apply. Coupon does not apply to prior purchases. Coupon applied to parts and labor costs. Other Restrictions may apply. Void where prohibited. Drive over our new Tread Spec machine for a complete tire & alignment diagnostic! Free of charge. Just pull right into our Service Drive! Give Your Mercedes-Benz NEXT LEVEL Detailing! Featuring Puris Jade Ceramic Coating Products! Now offering Jade Quartz and Jade Ice Ceramic Coating, to give only the best detail to your Mercedes-Benz. With innovative technology fused into these products, you will see a higher, shinier gloss, the upmost paint protection, and hydrophobicity – which means dirt and water will slide right off of your vehicle! You’ll fall in love with your vehicle all over again like when you first picked it up from the dealership. Maintaining your new luxury vehicle in Huntington Station means bringing it in for routine maintenance. 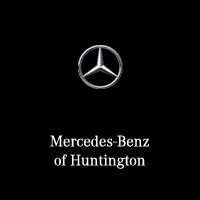 Luckily, when you choose Mercedes-Benz of Huntington for service, you can use our auto repair specials. Whether you need new tires or brake service, you’re sure to find something for you in our rotating service specials below, so next time you bring your Mercedes-Benz in for service, you can be sure that you aren’t overspending. Be sure to check out our brake service specials and more online before making your way from Greenlawn to our service department! Our experienced technicians will be standing by to get you and your Mercedes-Benz back on the road as quickly as possible. Schedule service today.